I love Spring and I love how small villages in Germany never disappoint with some wonderful surprise of color. Wow this is so pretty - I wish I had a house that looked like this!! This certainly doesn't disappoint, such pretty colours! This is a perfect spring shot! 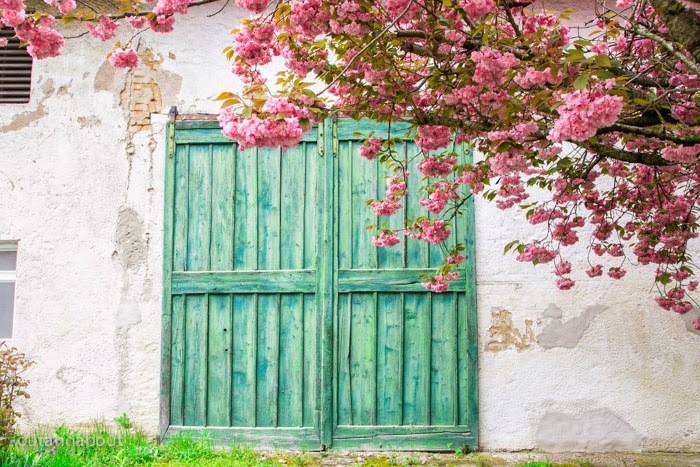 I love the colors of the doors and tree. I love the contrast of colors of the door and the flowers! So pretty!